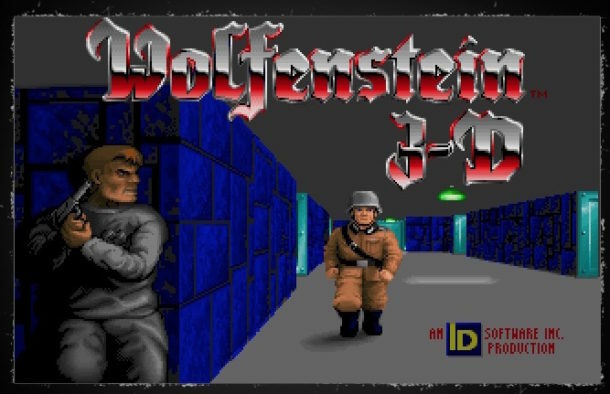 If you played video games in the early 1990s you probably remember Wolfenstein 3D, which was revolutionary at the time for being the first 3D first-person shooter. 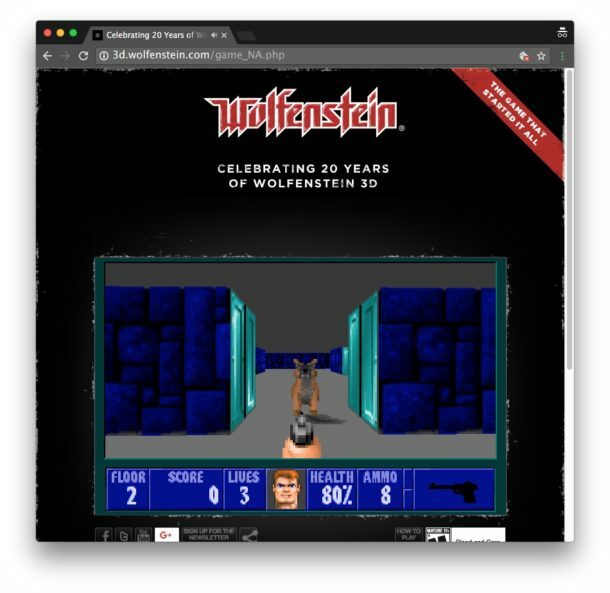 If you feel like reliving a brief moment of 1992, forget about digging out that ancient DOS PC in the basement, you can now enjoy playing Wolfenstein 3D – the entire game – entirely in your web browser. 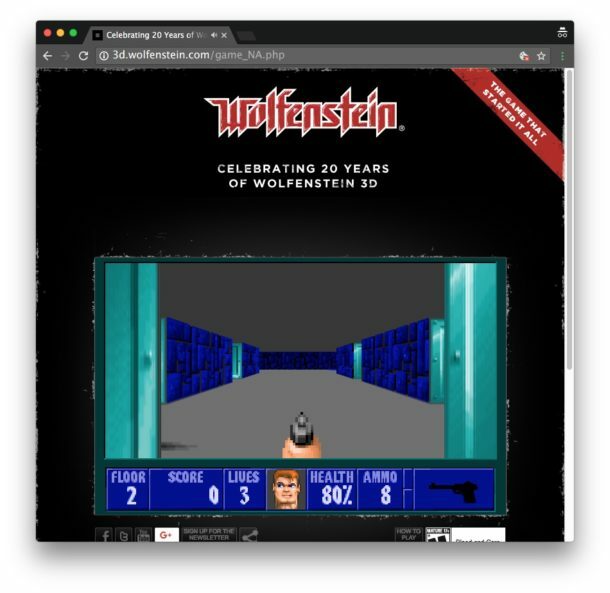 There’s virtually no requirement to running Wolfenstein 3D in your web browser, just open Safari, Chrome, Firefox, Opera, Edge, Internet Explorer, or whatever else you’re using to visit the 3D Wolfenstein URL, and that’s about it. Controls use the arrow keys to move around – up is forward, down is backward, right is right, left is left – Shift to run, Spacebar to open things, X key to fire, and Z key to walk sideways and strafe. The entire game is playable via the web browser no matter the host operating system, whether you’re on a Mac, Windows PC, Chromebook, Android, or even iOS device, though without an external keyboard connected to an iOS device trying to play on an iPhone or iPad would be next to impossible due to the controls. It’s sort of amazing that what used to be a complex game that used to tax an entire computers resources to run is now able to play entirely in a web browser, isn’t it? If that sort of thing fascinates you, you’ll also probably appreciate playing thousands of DOS games in a web browser, running Classic Mac OS in a browser, or Hypercard with System 7.5.3 entirely in web browsers too, each of which are equally fun in that old school kind of way. A little retro blast from the past is fun every now and then, isn’t it? Enjoy! Feeling Nostalgic? Run WinAmp in a Web Browser & Play MP3s! I’m still waiting for a way to play Archon. 90’s? Heck I was playing Wolfenstein on my II+ back in 19*cough*. I played in DOS when it first came out. I will wait for the harveyweinstien game in 53D instead.